In Hiwasse, Arkansas, turn off hwy 72, right onto hwy 279. As you travel on 279 it will also be marked as Forrest Hills Blvd. From the turn at hwy 72 it's 3.6 miles to Buckston Road. 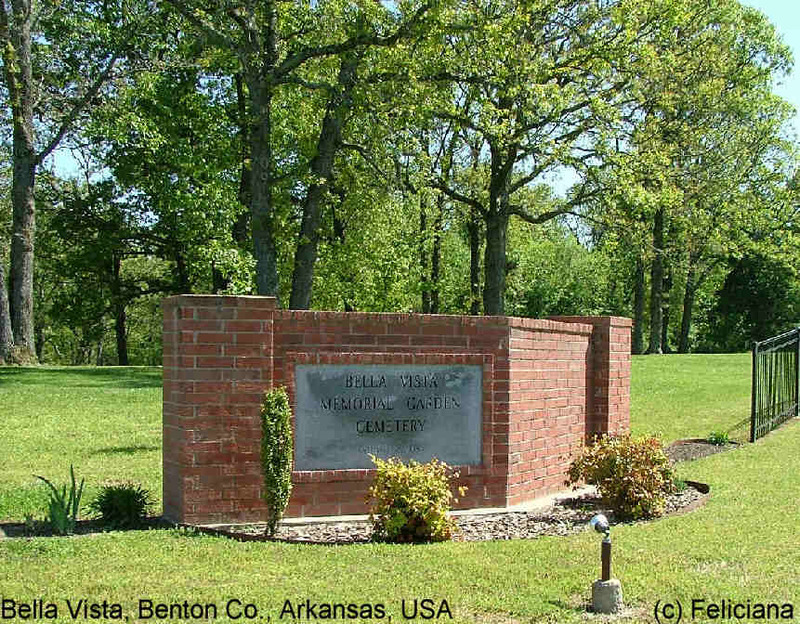 You'll turn right onto Buckston Road, there's a sign there on the right for Bella Vista Memorial Garden Cemetery. It's 1 mile to the cemetery after you turn onto Buckston Road. The cemetery will be on the left at the top of the hill.